Bandstands have been a feature of the British way of life for well over a century but after the Second World War an increasing number fell into disuse and were neglected. However, the Heritage Lottery Fund has been investing in our public parks and gardens and this has seen the rediscovery of bandstands. 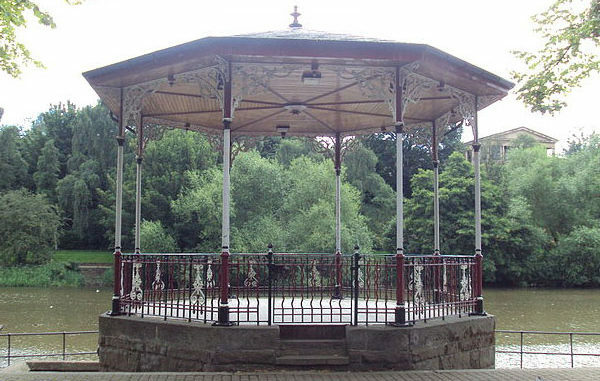 Over 120 bandstands have been restored and are now in use up and down the country. The speaker is Paul Rabbitts, a writer and lecturer and Head of Parks, Open Spaces & Projects with Watford Borough Council. He has written over fifteen books, including the Shire book Bandstands and books on the London Royal Parks. £12 for members, £14 for guests.